Bordeaux – 15 June, how has it come to this? Well it tastes ok, but, really. We got this from Carcassonne two weeks ago. 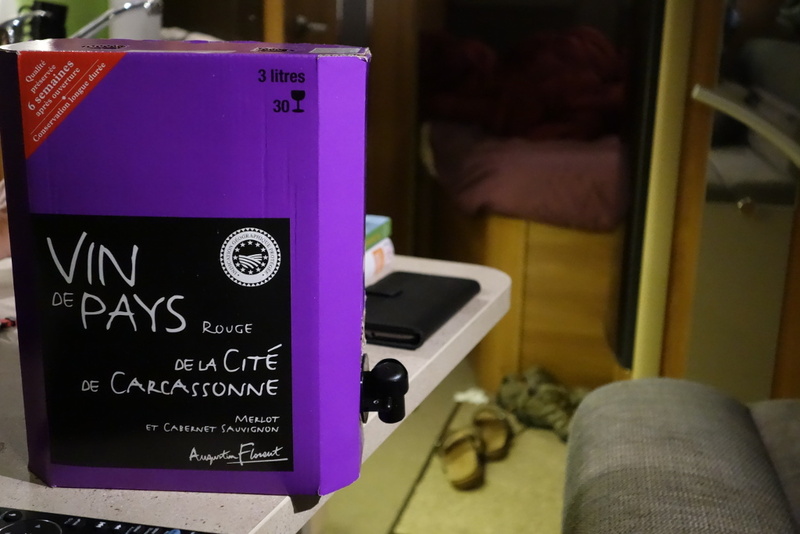 It is bizarre how difficult it is to buy wine in Bordeaux. Camping-Beausoleil is a lovely campsite but there is no shop and apart from a tabac up the road, no where to buy anything. We need to try harder tomorrow. This entry was posted in France - Spring 2017 on June 15, 2017 by Kenny Mitchell.